Every June 20th, people around the world join in activities to raise awareness for Facioscapulohumeral muscular dystrophy (FSHD) through World FSHD Day. The Orange Slice Selfies campaign is our signature social media event to recognize World FSHD Day. Supporters post a photo of themselves to social media using an orange slice in place of their smile with the official hashtag #WorldFSHDDay. The campaign is designed to stand out on social media by combining the event’s official color, bright orange, with an eye-catching image representing a symptom experienced by many patients: the loss of the ability to smile. It is meant to start conversations! With your support, we have reached tens of millions of unique accounts on Twitter! See page 2 of our World FSHD Day Toolkit for a how-to. In 2019, this team is participating in the Race Across America, the celebrated extreme cycling event in which cyclists race across the continental United States. The race falls on June 15-22. Anyone can support the team in honor of World FSHD Day, and you can even start your own fundraising team and invite friends and family to donate. Start your team ASAP so you have plenty of runway to raise a pile of donations. Team captain George Pollock has pledged to match the first $100,000 in gifts raised for Team FSHD Skyland Trail! To donate or start your own team visit their Team Page. 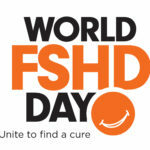 Use the World FSHD Day logo as your social media avatar. You can download the logo here and upload it to your Facebook, Twitter, and Instagram accounts. Host a local event to celebrate the day. Invite your community to gather for a picnic, cocktail party, dance party, a viewing party see your local landmark lit up in orange (see below). Cut a bowlful of orange slices and take a group selfie! Share event announcements and photos on social media with #WorldFSHDDay. 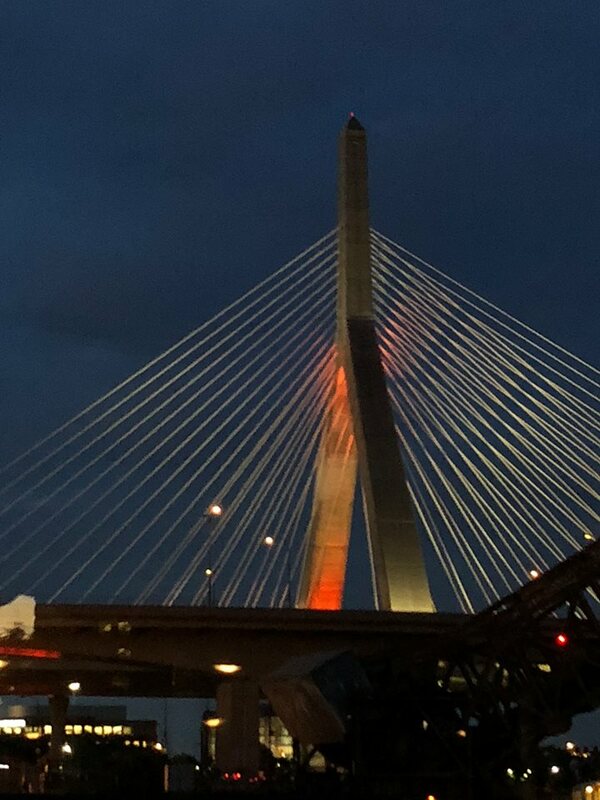 Ask your local Department of Public Works to Light the Night Orange. Is there a local landmark that would look great in orange? 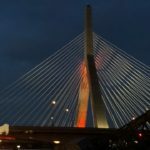 In Boston, MA, the famed Zakim Bridge is illuminated orange every June 20th in support of World FSHD Day. On page 3 of the toolkit is a template letter which you can use to craft your own request. Be sure to take photos of your orange landmark and post them on social media! 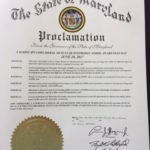 Make it official: Ask your government to recognize World FSHD Day. 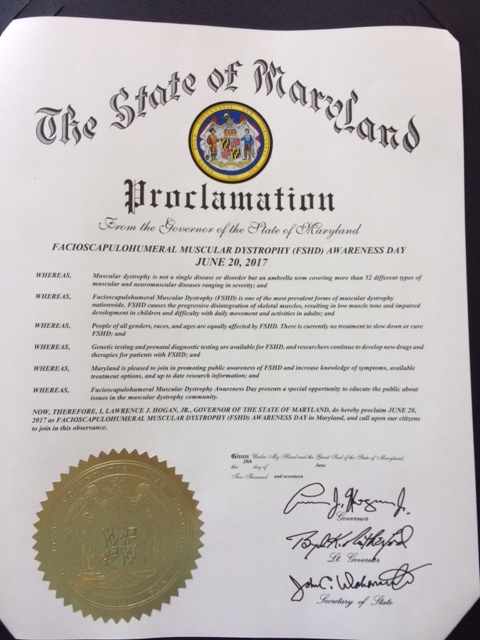 Write to your city, state, and national governments with a request to proclaim June 20th as FSHD Awareness Day. See page 4 for a sample letter you can use. Download the complete World FSHD Day Toolkit so you have it at your fingertips. 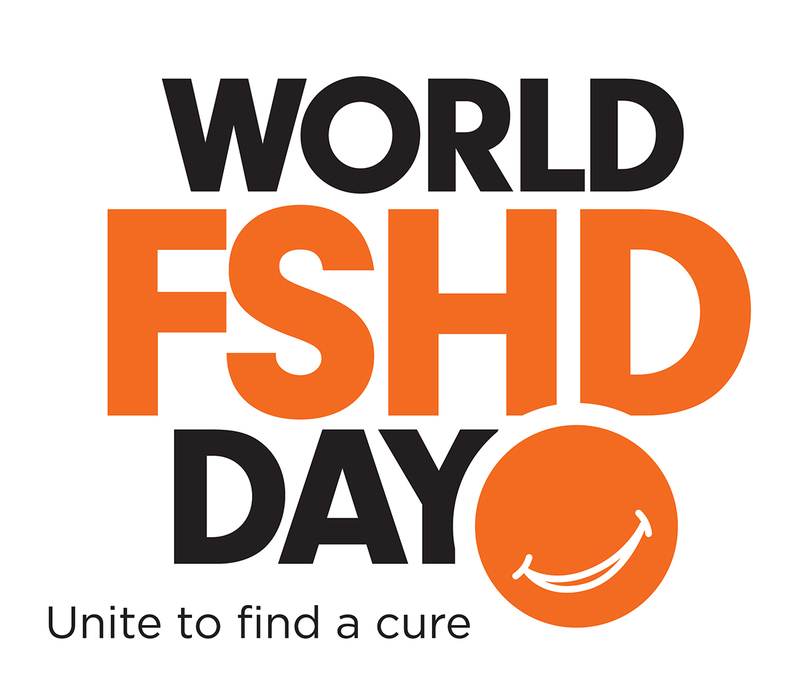 Don’t forget to share your photos with us using #WorldFSHDDay on June 20! Questions? Contact info@fshsociety.org.